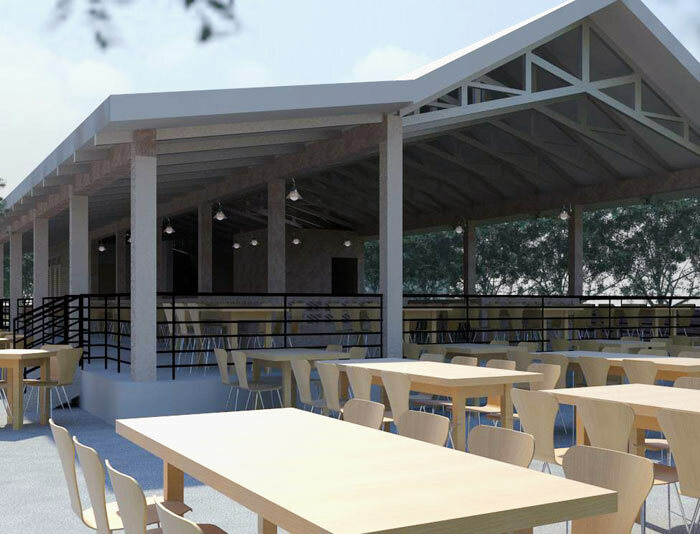 Construction of a community center and cafeteria, designed by second-year environmental design students at Texas A&M, will begin soon at a Cambodian college that aims to lift people out of subsistence living through education. 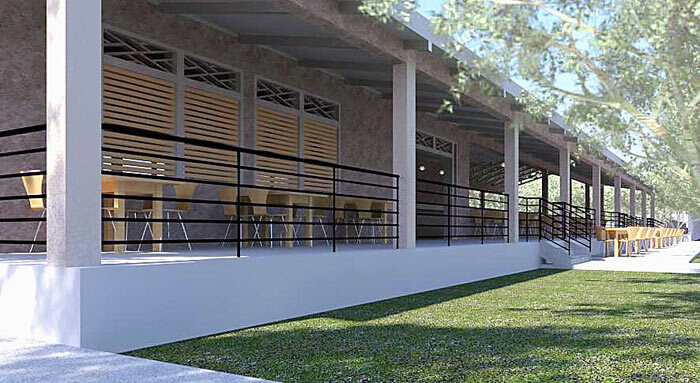 The building, designed during a spring 2008 studio by students Tommy Bett, Allison Forman, Anna Gorski, Marjorie Pirics and Emau Vega, is being built at Bakong Technical College, located in Cambodia’s Siem Reap province. 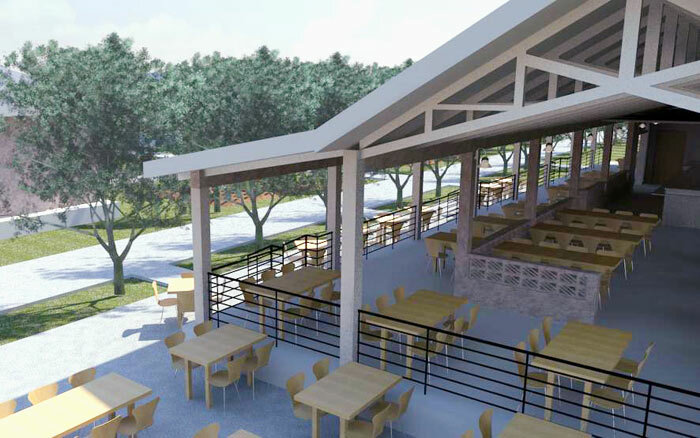 college to improve Cambodia’s economy by teaching citizens about sustainable farming and ecotourism. “Funding has been secured with the assistance of a Canadian Rotary group and construction is scheduled to begin in November,” said Julie Rogers, who led the studio that produced the design. A senior lecturer in Texas A&M’s architecture and visualization departments, Rogers holds a doctorate in architecture with an emphasis on Southeast Asian art and architecture. Project Enlighten, she said, is seeking more funding for the center’s remaining buildings, which were also designed by students in the spring 2008 studio. Vega said his team was initially puzzled by the building specifications for the Cambodian project. But research, he said, revealed that Cambodians have a different sense of personal space than Western cultures. Because they are accustomed to living in clustered conditions, the students adjusted their designs accordingly. 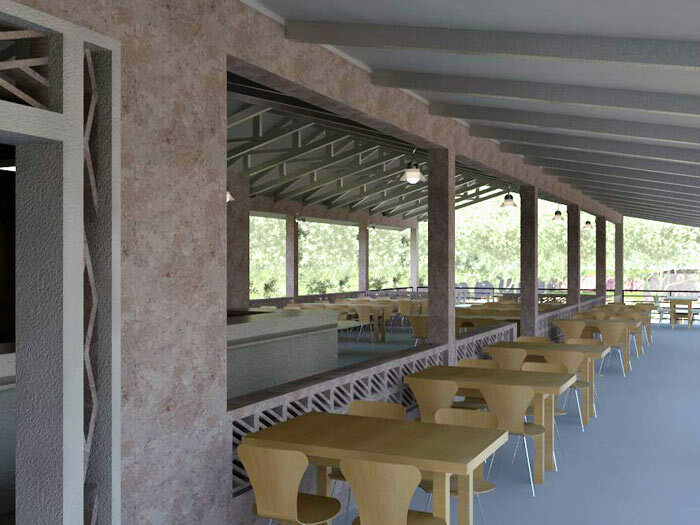 The students said incorporating Cambodia’s architectural style into their designs was challenging. The students included a rainwater collection system in their cafeteria design that routes water from the roof to an underground well and then to a water tower via a solar-powered pump. From the tower, gravity carries the collected water to the kitchen to be used for washing dishes, and to surrounding herb and vegetable gardens for irrigation. The Bakong Technical College project was the first group endeavor for many of the participating students, Vega said.